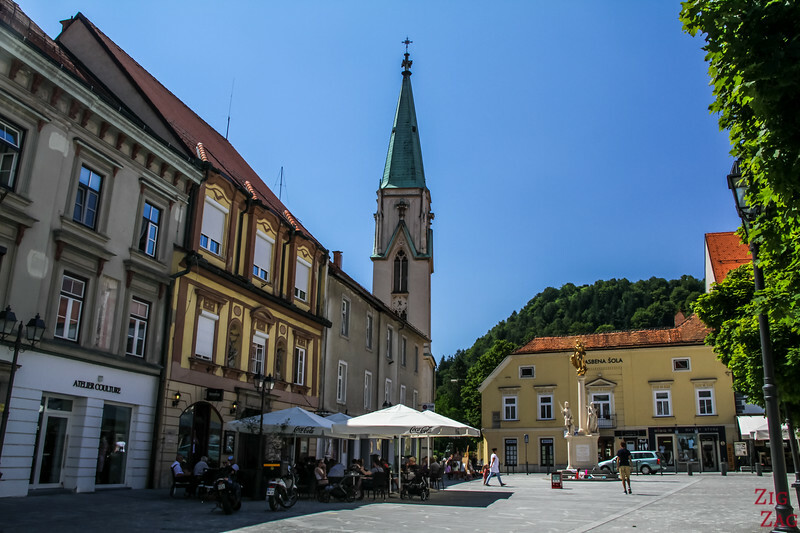 Third largest city in Slovenia, Celje is not a famous touristic location. 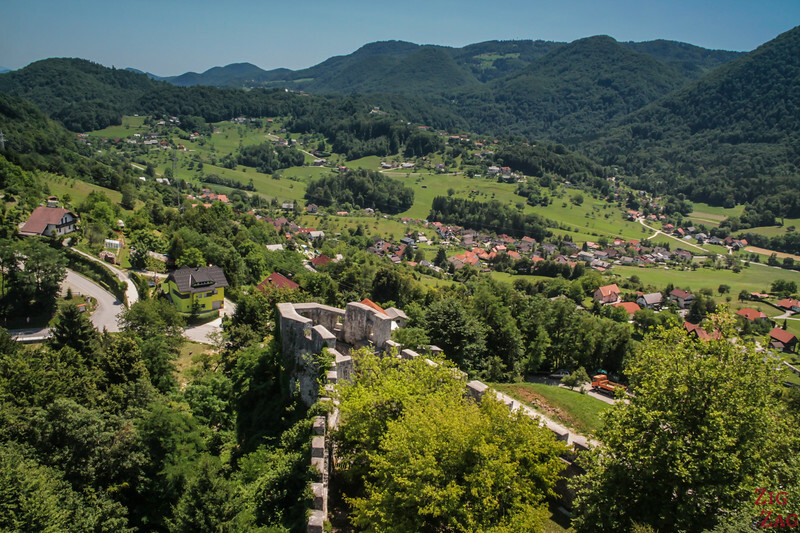 However I recommend the detour to visit the old Celje Castle where you can admire magnificent views of the region. Here is my travel guide to help you plan your visit. 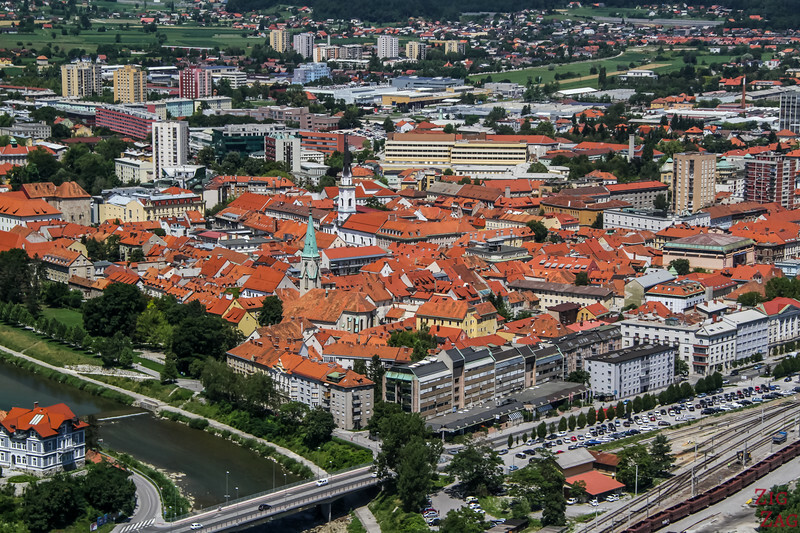 Celje is the 3rd largest town in Slovenia after Ljubljana and Maribor. It is the Styria region's center. It is located at the confluence of 4 rivers, hence its strategic importance. It has a long and rich history and a fantastic atmosphere. The views from the old castle dominating the city are worth the stop! 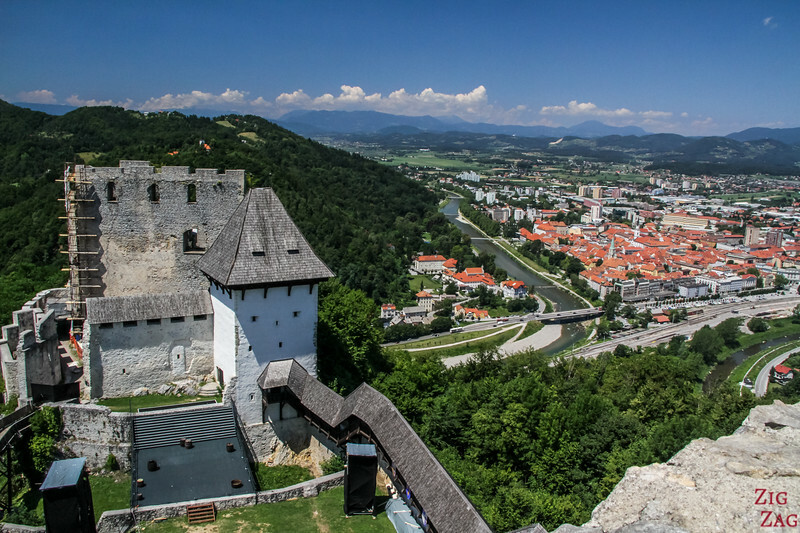 Celje is very easy to access East from Ljubljana or the airport. 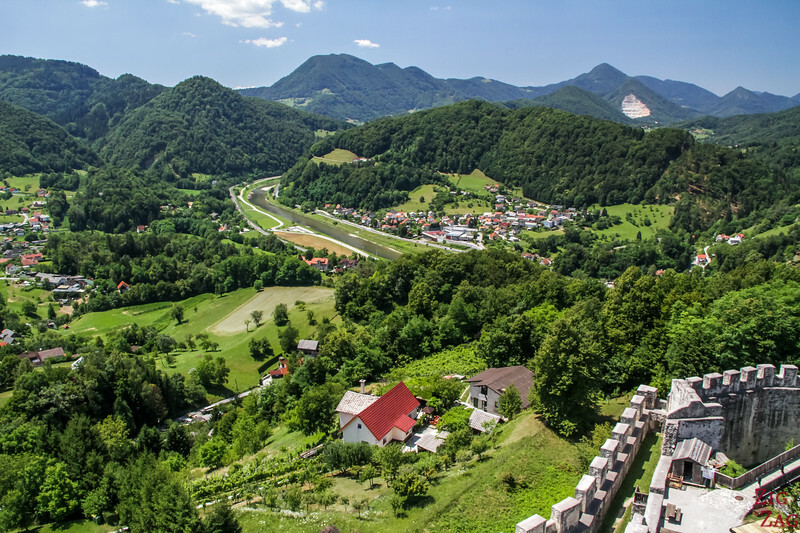 It is by the motorway midway between the capital city and Maribor. 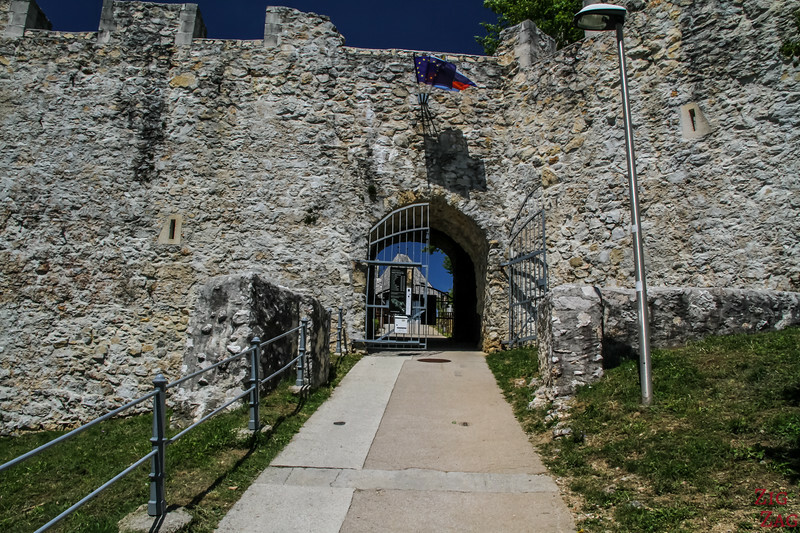 Celje Castle and Town, along with many other beautiful places, are included in my eBook: The Road Trip Guide-Slovenia. Celje is not yet very touristic, so the choice of accommodations is not as important as in other towns. 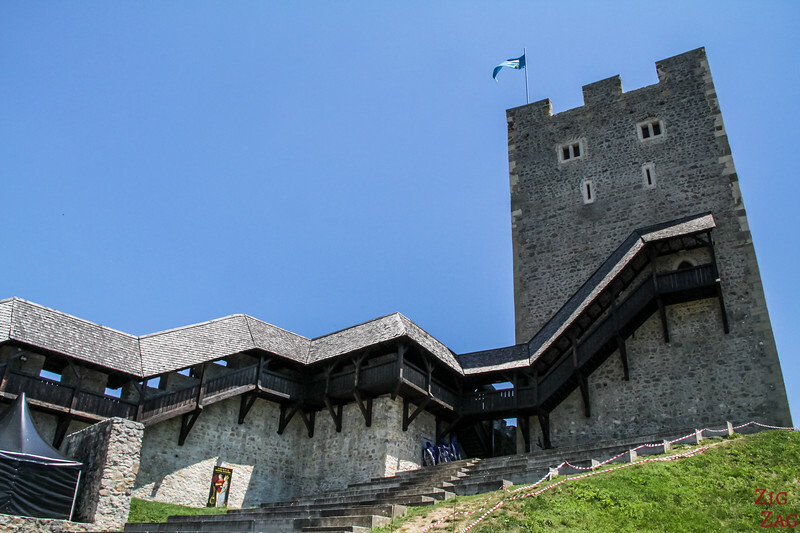 Now let's head to the mountains to visit the old castle of Celje. The front wall with the entrance is already very impressive. 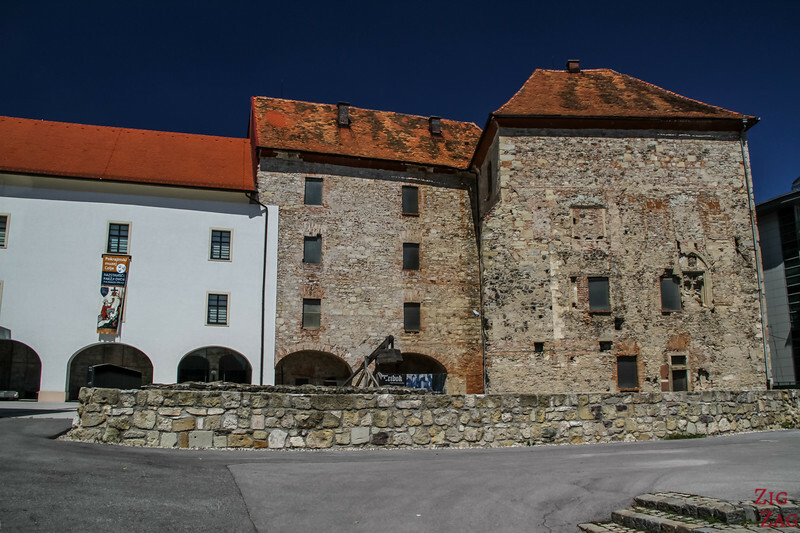 Contrary to other Slovenian castles and monasteries, I have found the restoration work on this castle more discreet. I really love those square towers. The Zice monastery has some too, and I find the architecture particularly attractive. Maybe because I am more of a square person than a circle one. LOL. This tower is 3 story high and calles the 'tower above the Pelikan's trail'. It was erected at the beginning of the 16th century. The tallest structure at the top of the hill is the Frederick's tower, named after of the of Counts of the Cilli dynasty. It was erected during the 14th century and is 23m high. The walls are 3m thick!!! However know that the spacing between the steps can be difficult for those with vertigo. As I said, if you climb all the way to the top of the Frederick's Tower, you get 360° views of the area. On one side you can see beautiful luch mountains with small villages. Notice one of the river meeting at Celje. And on another side even more hills!!! 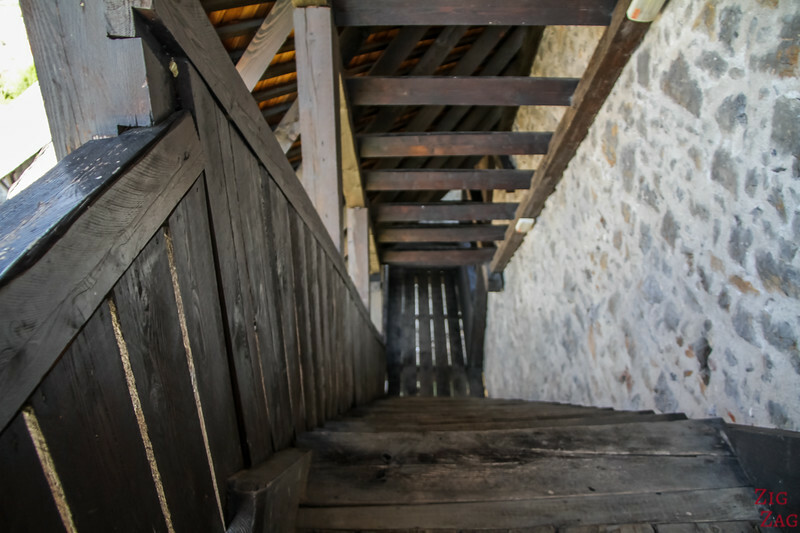 If you can't climb all the way to the top of the Frederick, you can calk past the Gothic palatium and the Drawbridge to reach a viewing platform. From there you can see very well the old town of Celhe with the orange roofs. 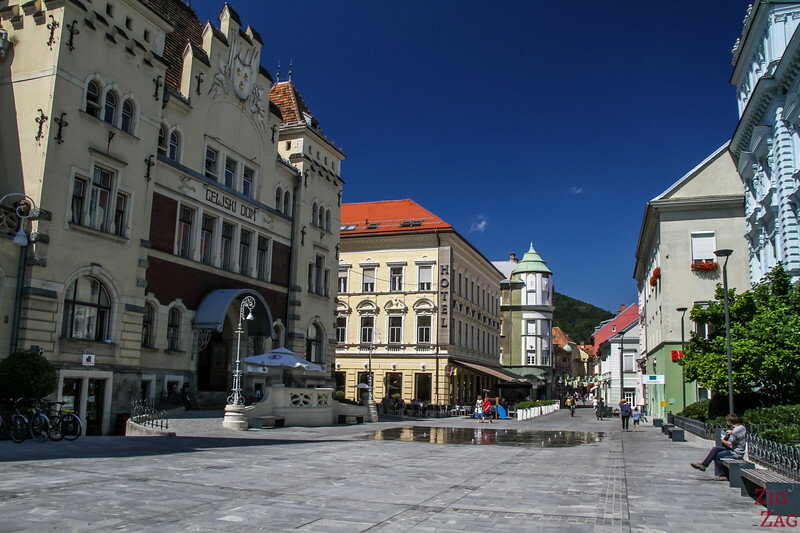 Celje has some rich museums, but if you only have a couple hours, just strolling in the streets of Celje is very enjoyable. It was one of our favorite cities in Slovenia. There are several small places and many streets are for pedestrian only with is really enjoyable. In the picture below you can see the tower of the St Daniel's church. 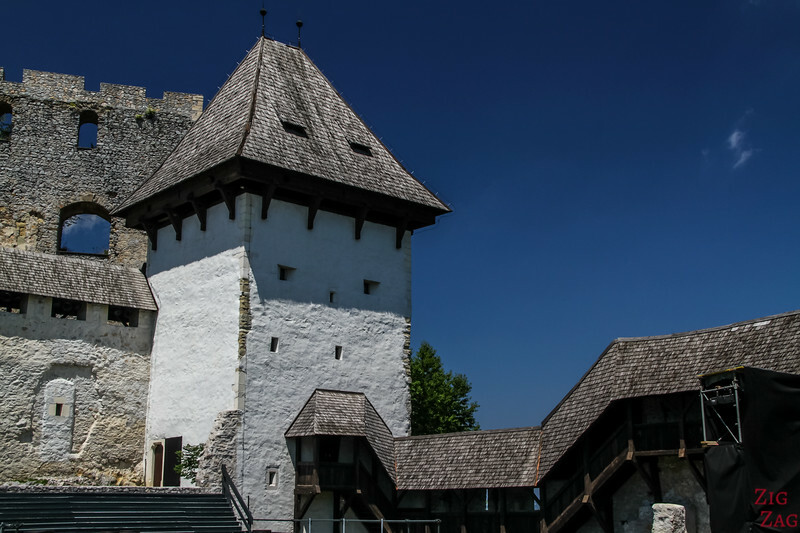 Originally from the 13th century with a single name and 2 towers it has evolved over time. 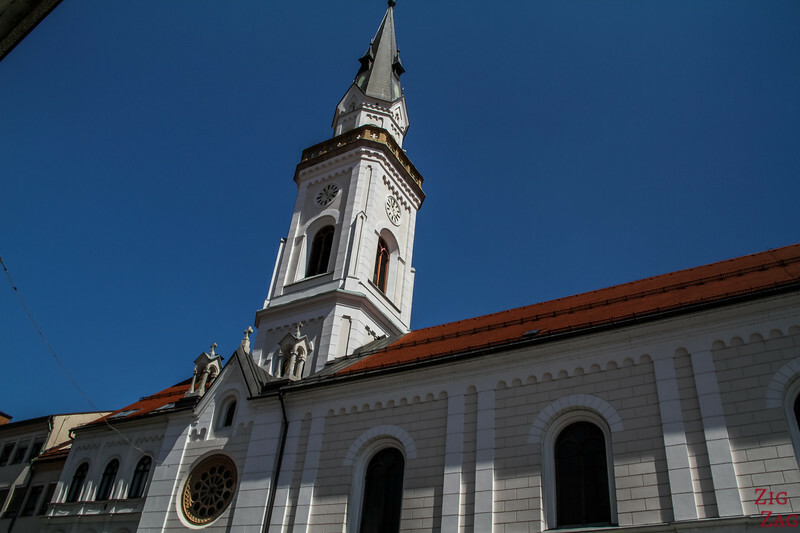 It is the Celje cathedral. Below is the Virgin Mary's assumption church, originally from the 13th siècle and part of the Minorite monastery disbanded in 1808. 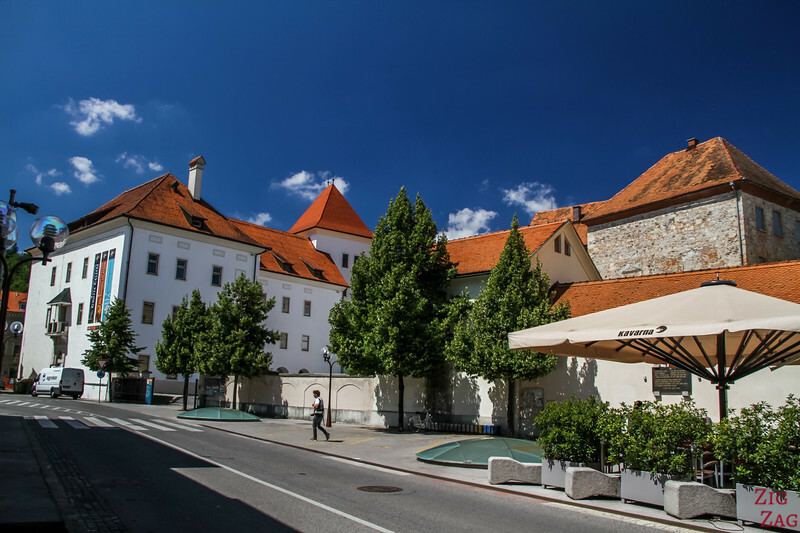 The regional museum, the second oldest in Slovenia, is located in Princely Palace (sometimes refer to as the Lower Celje castle). 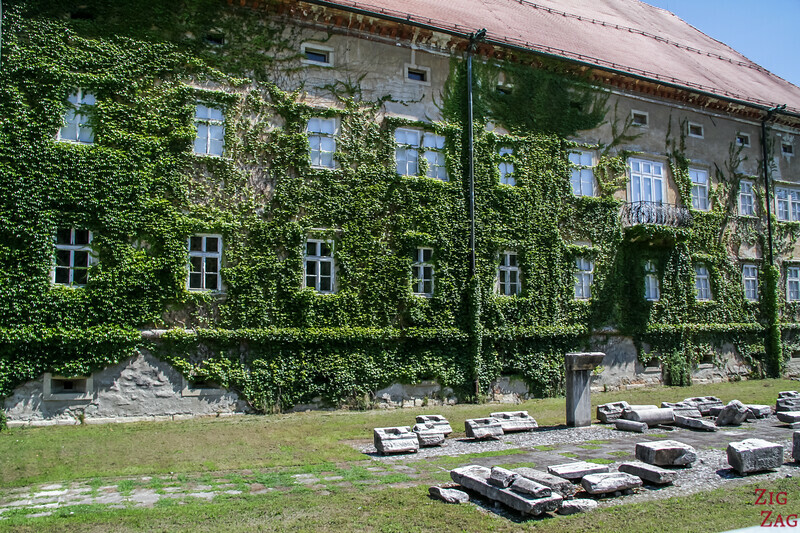 During the 14th and 15th centuries, this mansion was the residence for the counts of Celje. Inside the museum offers great insight into the regional history as well as contemporary art. 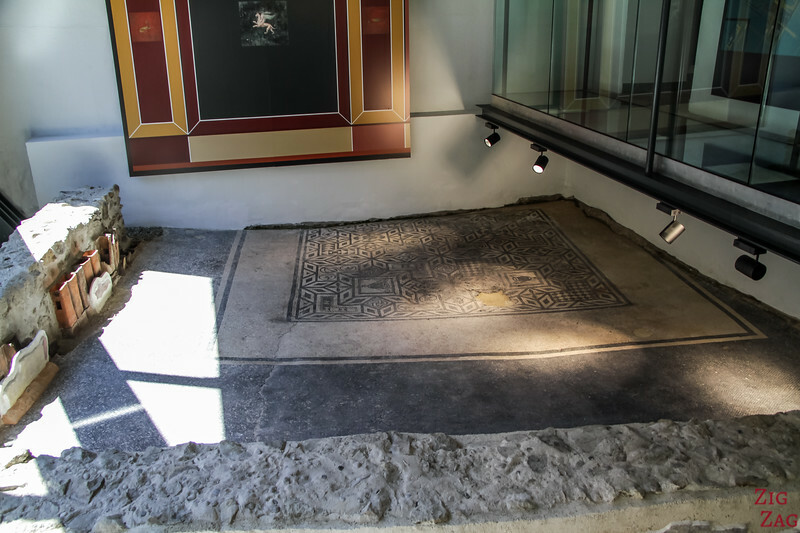 This is where you can see the archeological exhibition of the older town under the current one. Check out the exhibitions you could enjoy inside here. 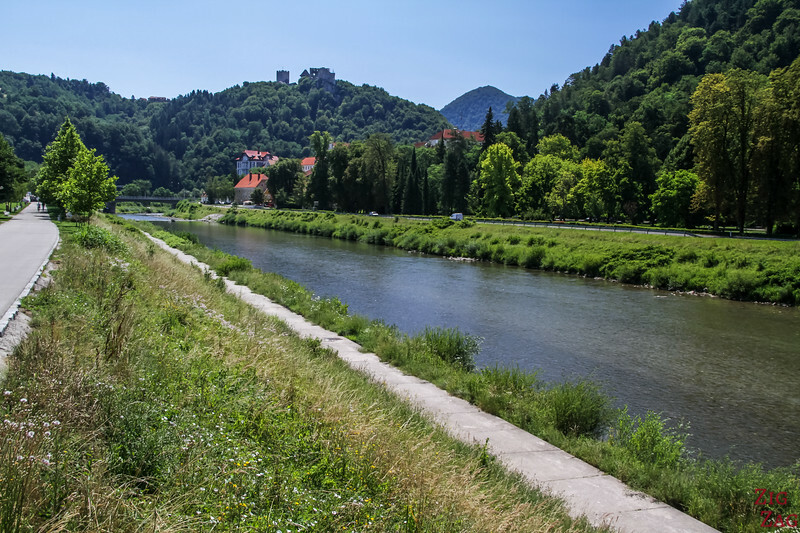 Another enjoyable activity is to walk along the Savinja river. A walking path has been set up. The environment s quiet and you can see the old castle on top of the hill in front of you. Grandiose views, don't you think?